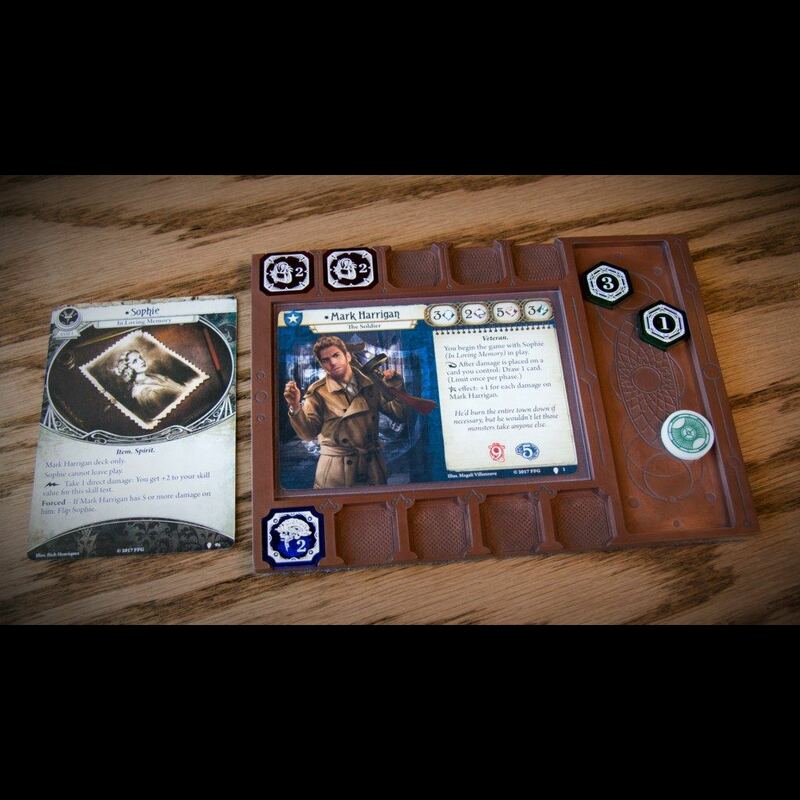 The Dunwich Mythos Board holds a sleeved Investigator card and all associated Health, Sanity, Resource and Clue Mythos Tokens, unquestionably differentiating them from everything else happening in the game. We wanted a solution that kept us from having our Investigator cards being covered up by multiple Health and Sanity tokens, with Clues and Resources scattered alongside. 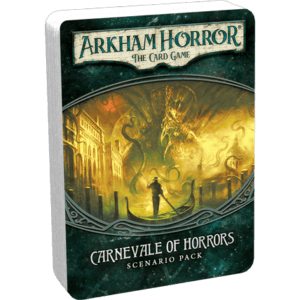 Once our Investigators were clearly raised above the rest of the action and everyone’s status easily tracked, our Arkham campaign became infinitely more enjoyable. 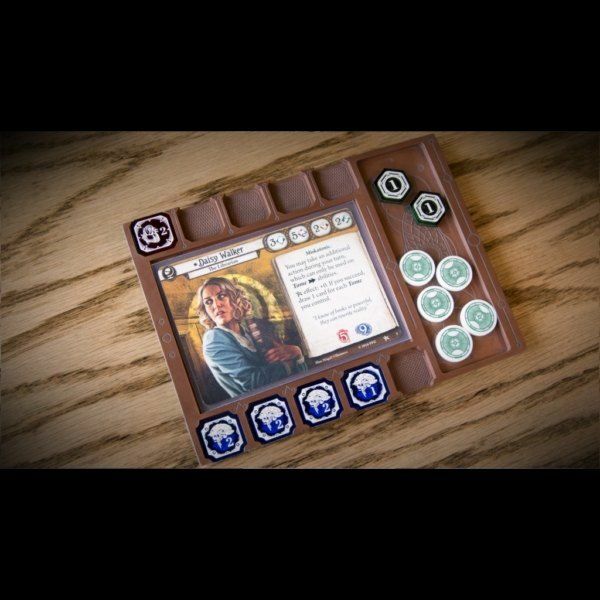 Mythos Boards perfectly fit a single Investigator Set of our Mythos Tokens, so the two should be paired together. Check the video below to see the entire system in action – but be warned, there is no going back. 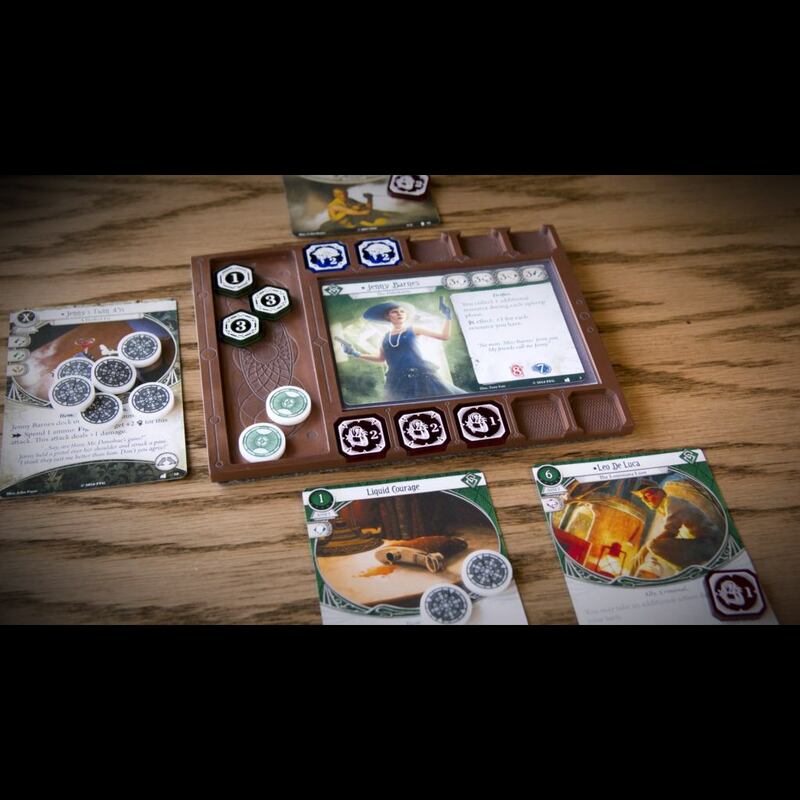 Mythos Boards were created to solve the problem of 1) ever-expanding locations in Arkham Horror: The Card Game that create a restrictive and cluttered play experience, 2) Investigator card art and text being hidden by tokens, and 3) lack of a clear definition between the general token pool and the tokens belonging to each player. 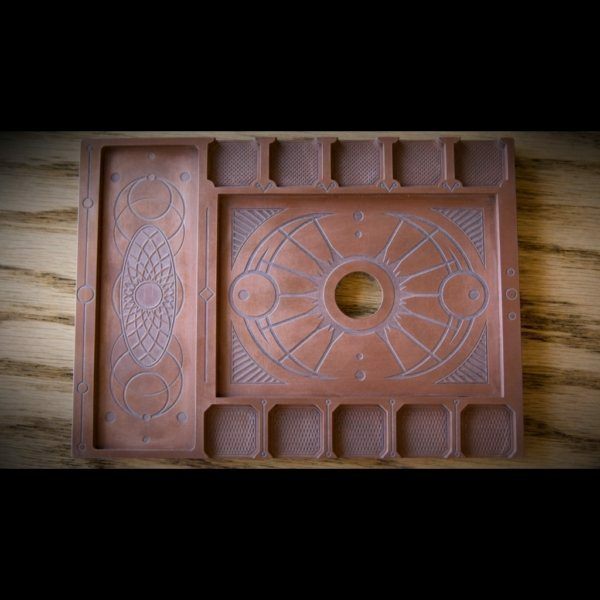 The Dunwich Mythos Board perfectly accomplishes these objectives while also pulling players further into the theme of Arkham and Dunwich Legacy with intricate symbology presented in an antiqued-copper finish. Dunwich Mythos Boards are cast from resin, coated with real copper powder, and backed with felt. They will naturally patina over time. 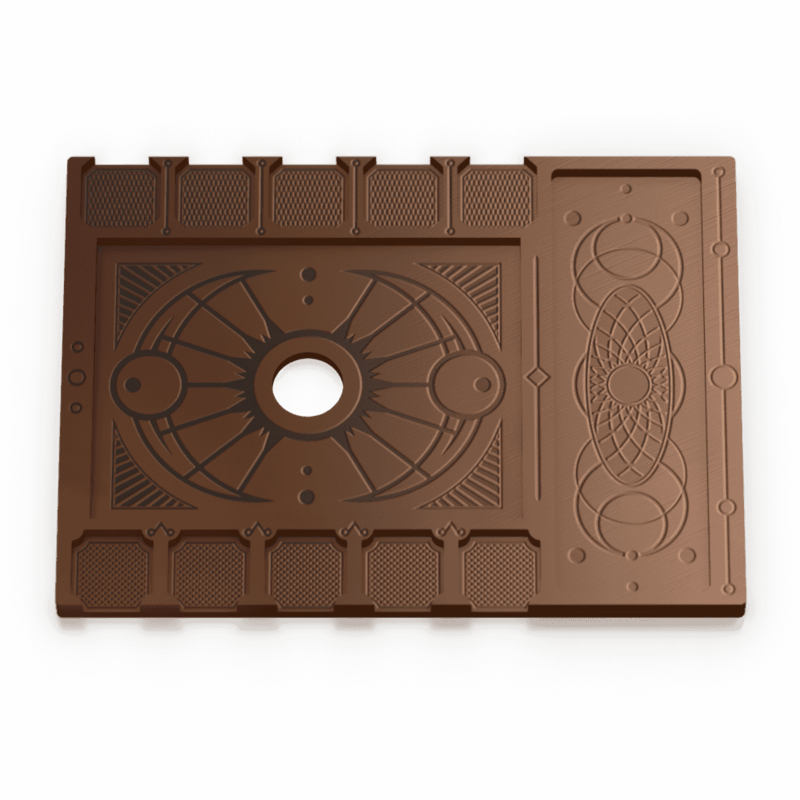 The appearance of your Dunwich Mythos Board may vary ever so slightly from the renderings and images shown here due to color variations in displays, cameras, resin, and copper. Note that because they are resin, Mythos Boards may warp if left in hot places for a long period of time (a car in the summer, for example). If this happens, heat it up again, lay it flat with a heavy object on top (like a book), and let it cool. Problem solved! Mythos Boards are third-party accessories produced and sold exclusively by us, Team Covenant. 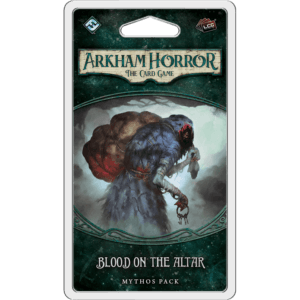 Though compatible with Arkham Horror: The Card Game, they are not associated with or officially endorsed by Fantasy Flight Games or any other entity. Definitely seemed expensive at first, but the craftsmanship is definitely worth the cost. Very cool accessory and I have no regrets. If you are considering this item at all, then I can say it is definitely worth it. I was looking for a way to customize my Arkham Horror LCG gaming experience, and came across these Mythos boards. They were out of stock, however, as soon as I was notified that they were available, I ordered two of them. When they arrived, I was really impressed. The images on the website just look like they are brown, however, mine are actually really copper looking. 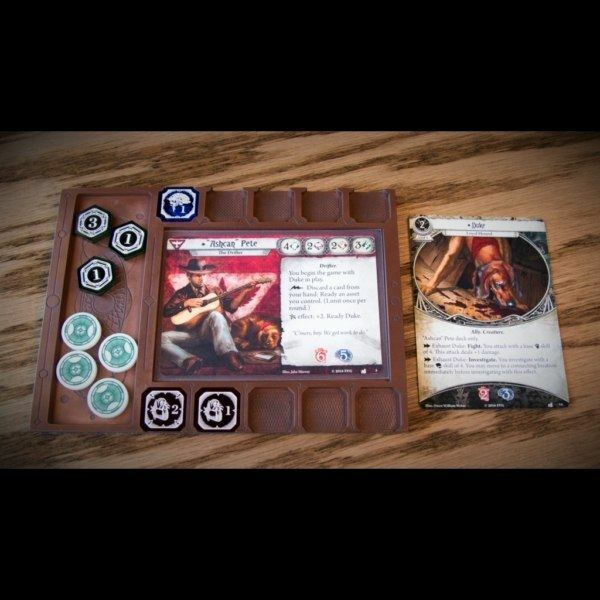 They hold your character card when sleeved, and its easy to remove by using the hole behind the card. 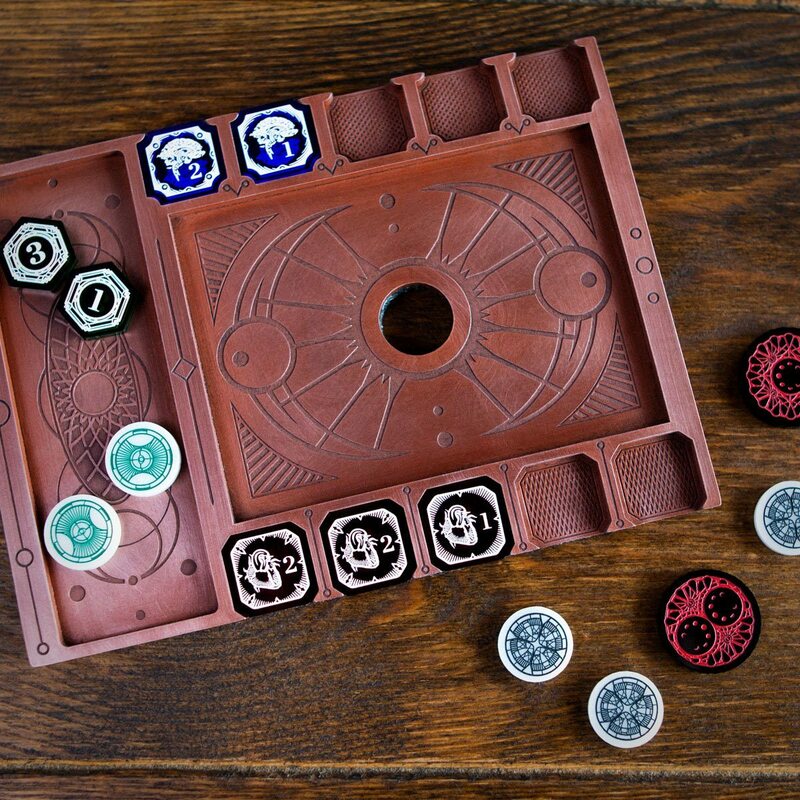 The slots for sanity and health fit the original game cardboard for the 1x tokens (the 3x tokens are larger in size). The side tray does a great job of holding your resources and clue tokens. These things are sweet for sure. They do seem a little expensive at $24 each, however, once you actually use them in a game setting, you realize they are totally worth it. Thanks Team Covenant for making such an awesome product for my Arkham Horror LCG experiences! 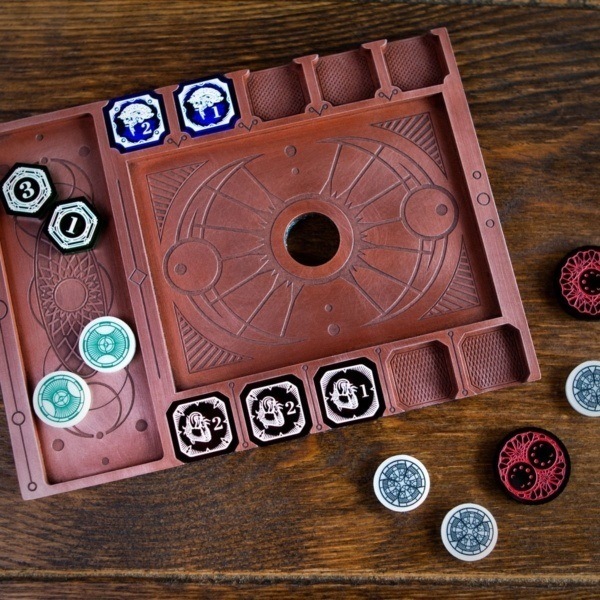 The Mythos Board exceeded my expectations in both quality and design. Arkham is the first game my wife has ever played with me so I took the chance and got her and I one for Christmas. She absolutely loved it! Thanks everyone at your company for the work you do (I’ve become an avid devotee to the pod casts and videos) and the care at which you make your products. I was so pleased with my purchase I immediately bought the investigator tokens to go with the boards. thanks again! 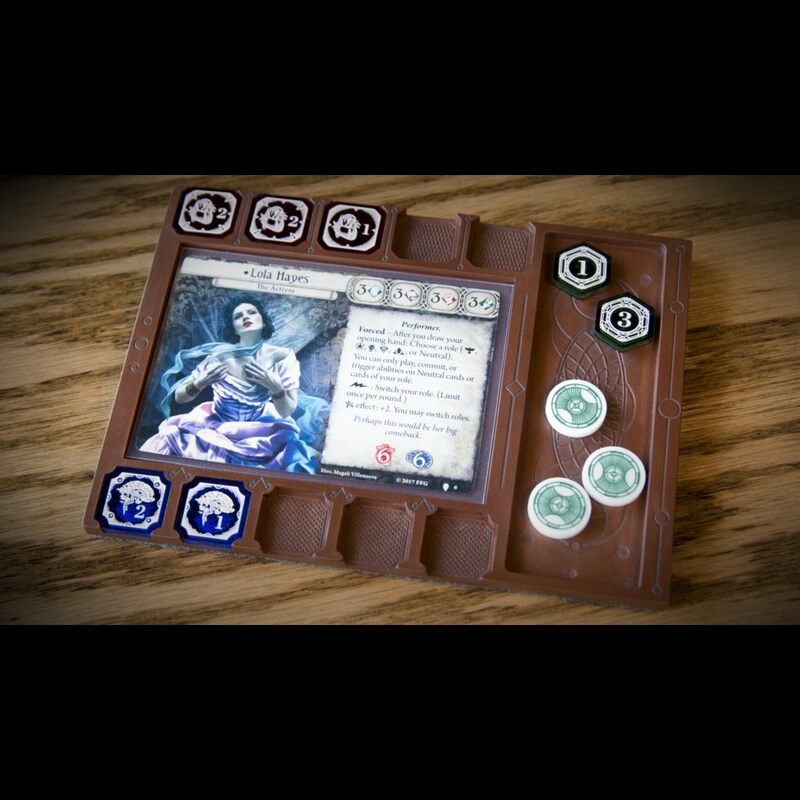 These a great way to hold all of the counters/tokens and keep your investigator card still able to be easily read when playing. These look fantastic and bring an elegant piece of customization to the game. When you combine a lot of the thematic products that are available to this game, including TC tokens, this game just draws people in. Absolutely worth the wait. The design is both beautiful and clever, and it’s clear a great deal of thought and care were put into putting these together.